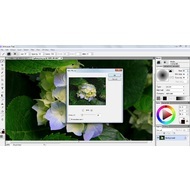 Artweaver is a powerful graphics editor that provides a lot of interesting tools for editing and drawing. It was designed for artists and creative persons who appreciate the convenience of usage and a variety of painting instruments. 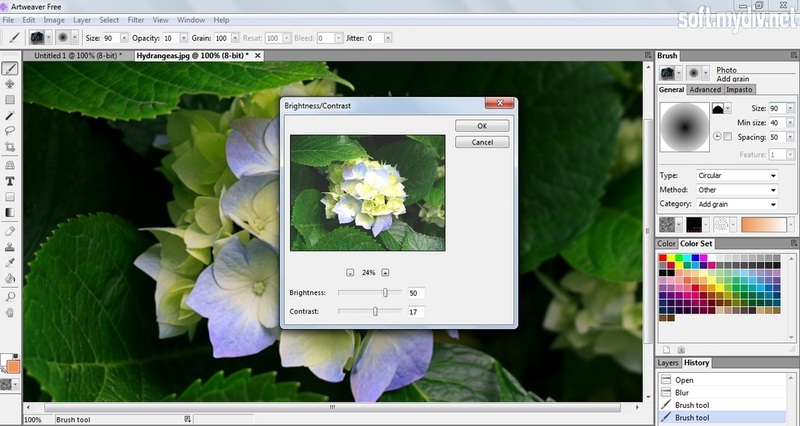 The editor supports lots of extensions including JPEG, PNG, PSD, BMP, TGA, and PCX. 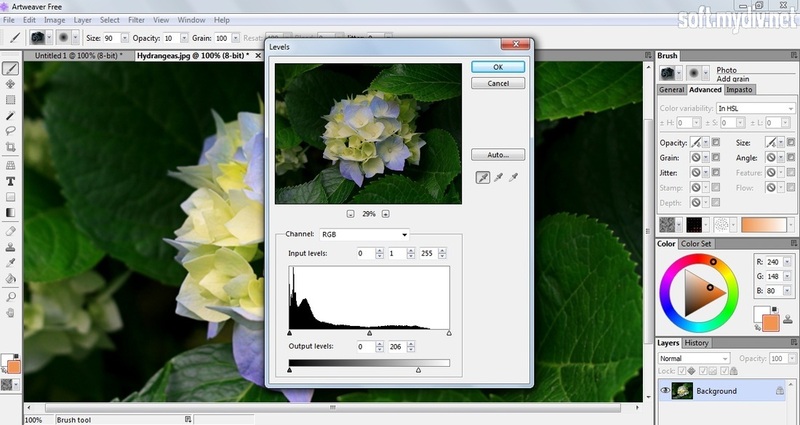 You can also use multiple layers and color adjustment. The program has a user-friendly interface. The main screen is divided into three parts. The instrument panel is on the left column. 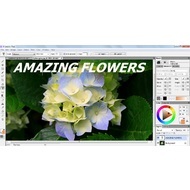 It provides a brush, shape selection, magic wand, text, crop, eraser, perspective grid, gradient, stamp, dropper, lasso, paint bucket, hand, zoom, and move tool. 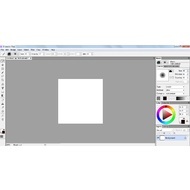 A canvas is in the center of the screen. 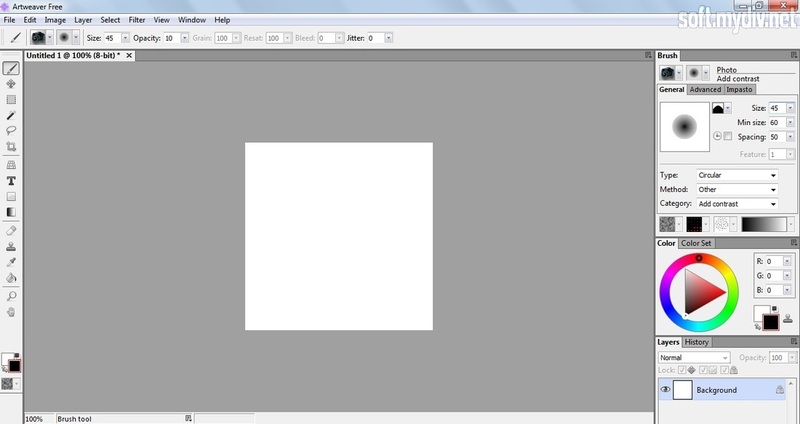 If you want to change a size or position of your canvas, open Image tab and choose appropriate options. 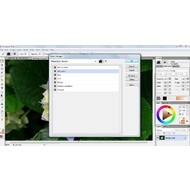 The right column offers brush, color/color set, layers, and history panes. 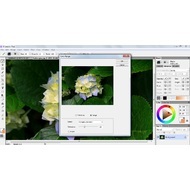 There you can choose the type, size, angle, opacity, and other parameters of your painting tool. 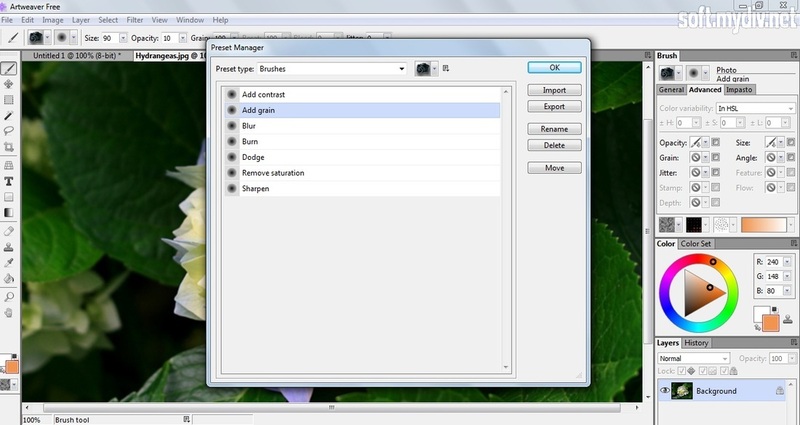 To apply visual effects, you should open Filter tab. 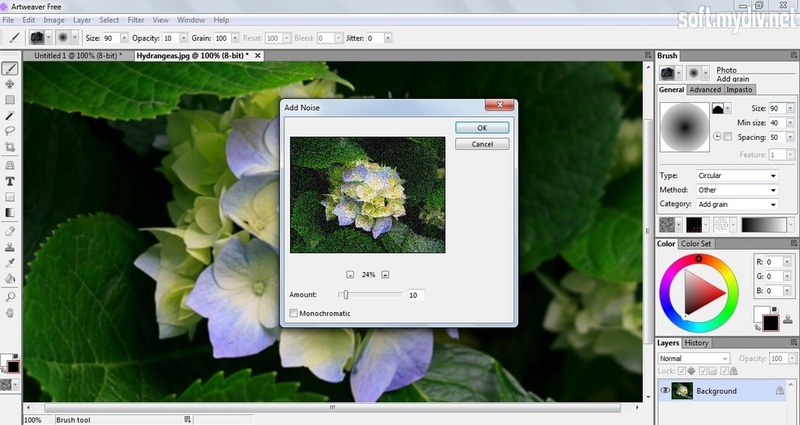 It allows you to use blur, sharpen, texture, distort, noise, render and stylize effects. 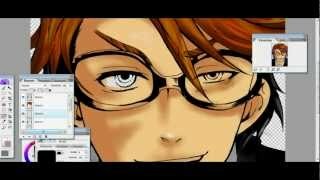 You can upgrade the standard version to Artweaver Plus to get additional features as 64-bit system support, enhanced functionality, commercial use, and free technical support. The price is 34 € (discounted price for 1-4 licenses is 29 €). 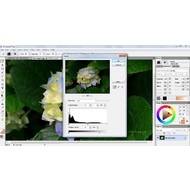 The software is a qualitative choice for those users who want to work with a pen tablet. There are a lot of features that can be useful for professional designers. 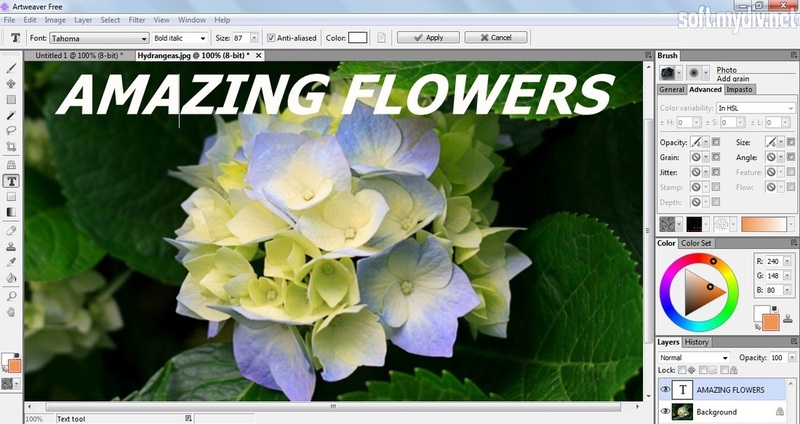 Many people consider this editor as a good alternative to Adobe Photoshop. A lot of painting tools that will be useful for pen tablets. Some features are available only in Artweaver Plus. 1 GHz CPU (1.5 GHz recommended). 512 MB RAM (1024 MB recommended). 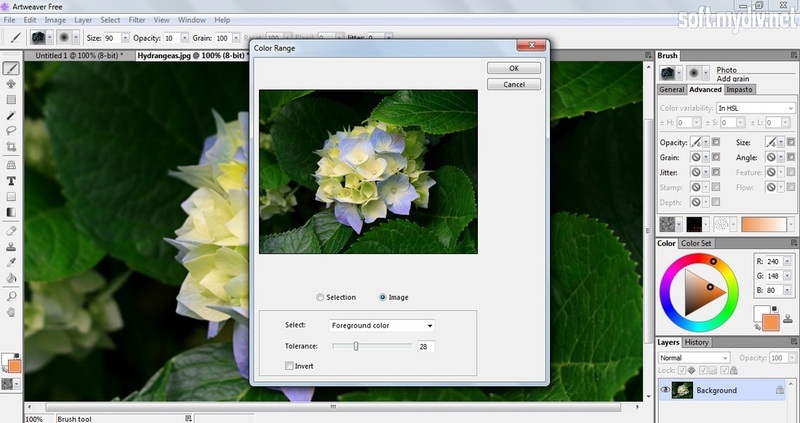 1024 x 768 monitor resolution support. A pen tablet is recommended. Improved playback and events loading. Error handling for corrupt preset files has been improved. Fixed bugs with drag and drop on layers palette.